Absolutely dreadful stay. Weather was bad but no provision had been made to heat the rooms ready for occupancy. 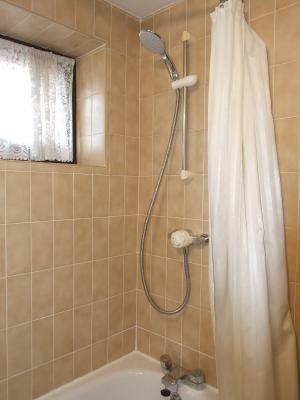 So cold and with only lukewarm hot water you could not even dare to take a shower. It was like sleeping in an icebox. We complained and have been promised a £25.00 compensation but to date this has not been received. Nice location. Friendly staff. Big parking. Good breakfast. Easy to book on last minute. Plenty of exits for loading and unloading luggage into the car. We checked in and we were upgraded for free to the honeymoon suite as it was the day after our wedding! So pleased! The room was average. Staff was helpful when you found someone. The hotel is in a nice setting. The staff were very friendly and always chatted. They always asked after my dog who was having cancer treatment, even though my dog was a grumpy fella while we stayed there for two weeks. The location was great for my visit and there were a few places for me to walk my dog and the small garden at the hotel is very pretty too. I felt safe and very comfortable at the hotel. The rooms were a lovely size and the beds very comfortable. 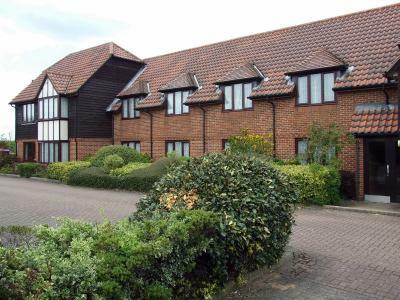 The Chichester Hotel This rating is a reflection of how the property compares to the industry standard when it comes to price, facilities and services available. It's based on a self-evaluation by the property. Use this rating to help choose your stay! 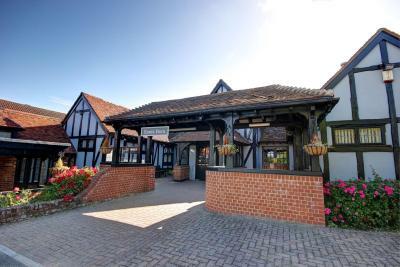 Surrounded by farmland, this family-run hotel is located between Basildon and Rayleigh. 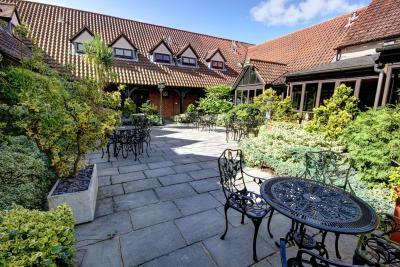 It has a lounge bar, a courtyard garden, and free private parking on site. 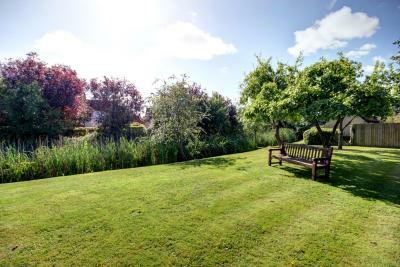 Each room at The Chichester Hotel has farmland views, and offers a TV for guests to use. There is also a radio, a telephone, and 24-hour reception. The Gallery restaurant is open from 12:00 till late Monday to Saturday and Sundays from 12:00-16:00. Reservations are essential. 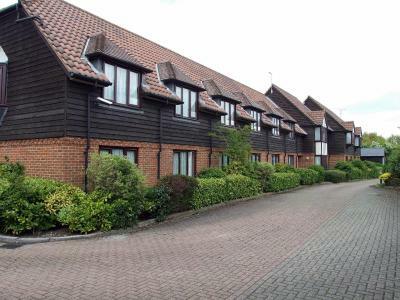 Wickford Rail Station can be reached in a 5-minute drive from the Chichester, while Southend-on-Sea is less than 20 minutes’ drive away. 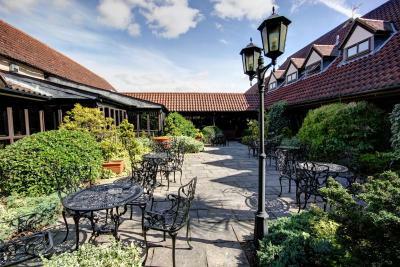 When would you like to stay at The Chichester Hotel? 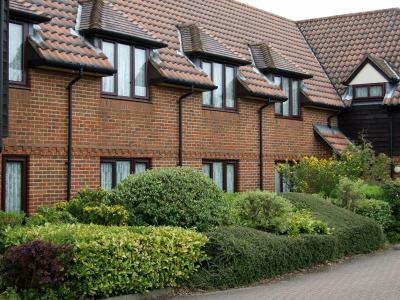 Each room has a flat-screen TV and tea and coffee making facilities. This room can accommodate pets for a surcharge. This twin room has an electric kettle and sofa. This family room features an electric kettle and sofa. 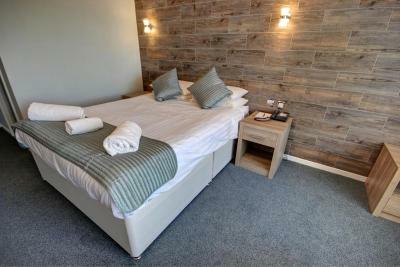 This double room has an electric kettle and sofa. 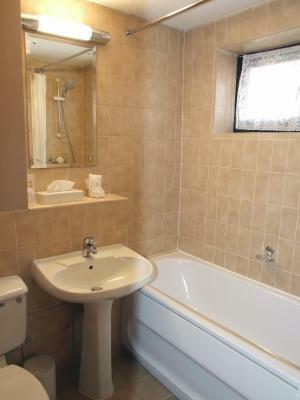 This double room features a sofa and electric kettle. This double room has a electric kettle and sofa. This double room has a sofa, electric kettle. House Rules The Chichester Hotel takes special requests – add in the next step! The Chichester Hotel accepts these cards and reserves the right to temporarily hold an amount prior to arrival. Please note the restaurant is open from Monday - Sunday. All reservations are essential. The food is served until 16:00 on Sundays. Only 3 pillows on our room. Each one was rather flat, so you needed two. One of us had to supplement with the bed cushions. Thought the breakfast was rather sparse, if you only wanted continental or was vegetarian. Only cornflakes and muesli available as alternative to cooked breakfast. No croissants or fruit on offer. The restaurant and quality of food was poor. Tap in bathroom sink, leaks onto floor when washing hands. No hairdryer. Bed valance dirty. There was a hairdryer but no mirror so unable to use it. The beds are hard. The pillows very flat. Unable to get any food at all. I know it was a Sunday but I did think hotels were 24/7 would have been helpful just to be able to get a sandwich. Restaurant shut at 4. We had been to a christening so got back about 5.30. Had to find someone to get a drink. We was told there was a pub 10 to 15 min walk lucky we got a cab there is no way it would be safe to walk there when dark. Breakfast not much choice. The car park sometimes had broken glass and one night I was walking my dog, he started limping and I had to pull glass out of his paw but he was fine. I think if the gardens around the car park and car park were cleared up it would make quite a difference to the look of the outside of the hotel. I think it would be great to have a pool, spa and gym at the hotel. Shower. One thing I want at a hotel is a decent shower. When I saw the double headed shower (normal or rainforest) I was impressed. Then I tried both - and despite a sign advising to let the water run for 30 seconds to allow the hot to come through, it remained cold. I had to run a bath, and strangely the water from the hot tap was fine. Room was modern but mattress and bed was clearly old and not in keeping with rest of the superior room. 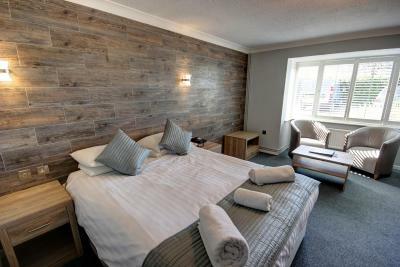 The hotel as a whole does require some refurbishment, especially the rooms. Breakfast was ok but nothing to write home about. The location was convenient as we were attending a function at the hotel. The bathroom was dated, with a poor shower, whilst it appeared clean, I found hairs near the tap and plugs, lots of limescale build up on the shower screen and around the edges of the floor was dirt. It wasn't a dirty room, just off putting. The biggest issue was the heating pipes, at night the noise was so load, despite turning the radiator down, I hardly slept due to the noise. Breakfast selection was basic. The room was a good size and nicely decorated, first impressions were good. Staff were very friendly and helpful.